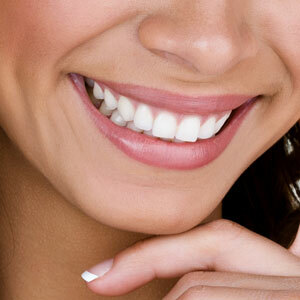 At Red Hill Dental, we understand how straight teeth can help enhance your smile and boost your self-confidence. If you suffer from crowded teeth, overbites or underbites, have an incorrect jaw position or jaw joint disorder, then orthodontics may be right for you. Orthodontic treatment can help you to correct crooked, misaligned and overlapped teeth. Dr Henry Ho (Dentist) offers both conventional metal braces and clear aligners for adults, teens and children. We offer traditional metal braces that are made of high-grade stainless steel. Together with archwires, they exert pressure on your teeth and bone to straighten your teeth. While wearing braces may not be fun, we can make them more playful looking by adding colourful or colourless elastics. If you’d like to straighten your teeth discreetly, Invisalign is an ideal solution. It uses a series of nearly invisible custom-made removable aligners to help straighten your teeth. Since you can remove the aligners, you can enjoy eating your favourite foods. Brushing and flossing your teeth are also much easier as you don’t have to deal with metal brackets and wires. About every two weeks we will give you a new set of clear plastic removable aligners. As you switch out each aligner, your teeth will move until they have straightened to their final position. We now also offers SmileStyler aligners, made here in Australia. This system can correct a number of smile-related concerns, including crowding, crooked teeth, bite alignment to name a few. These removable aligners also enable you to eat the foods you want.